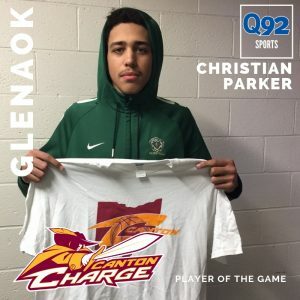 Christian Parker scored 13 points to lead GlenOak to a win over McKinley, 63-60! His hard work and hustle paid off and didn't go unnoticed, congratulations Christian! 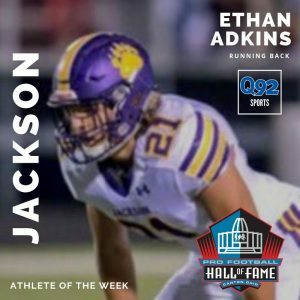 The Q92 Athlete of the Week is Ethan Adkins, running back for Jackson High School. In week 8, Adkins had 16 carries, 139 yards and 2 touchdowns.